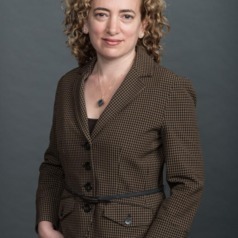 Michal Perlman is Associate Professor at the Department of Human Development and Applied Psychology at the Ontario Institute for Studies in Education. Her research interests focus on the environmental factors that influence the social development of preschool-aged children, studying in particular the quality of child care that children receive and its impact on their development, as well as studies of how children develop conflict resolution skills; with broader research interests in cognitive and emotional school readiness, the impact of neighbourhoods on children, and family law. Professor Perlman received her Ph.D. from the University of Waterloo.